I was about to buy an E-Flite PT17 and Extra 300 3D, however at a Club meeting last night it was announced that the grass cut was going to be changed from 1/2" -3/4" to 1 1/4". The increased grass height may be ok for the PT -17 but probably rules out the Extra 300 because of the wheel pants (I know I could remove them but it really ruins the look). So I'm now I'm looking at the Timber/Turbo Timber or Maule. 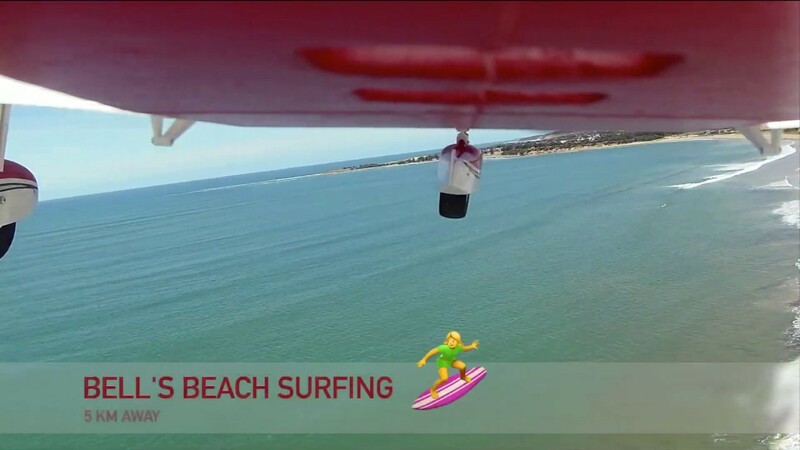 I like the looks of the Maule better and it appears the flight characteristics are pretty similar from the videos. Can any one compare and contrast? 1.25" is still very short. I wouldn't dismiss any plane based on that criteria. When dealing with "longer" grass, the idea is to NOT have a very long take off roll. A plane such as an Extra 300 has plenty of power to thrust itself into the air with little to no roll. I've seen a guy at my field with such planes take off in about 2 feet. The doesn't roll on the grass. It pulls itself through what grass there is and is off the ground before you know it. Landing is also not a big deal. You stall it into a pancake flop. Failing this, people just do an underhand release and I've even seen the plane caught by hand. The plane never touched the ground. It's only planes that need to roll for a bit to get up airspeed to lift off the ground that you need to worry about grass depth and wheel size. I suspect that none of the 4 planes you mentioned would have a problem with 1-1/4" grass. 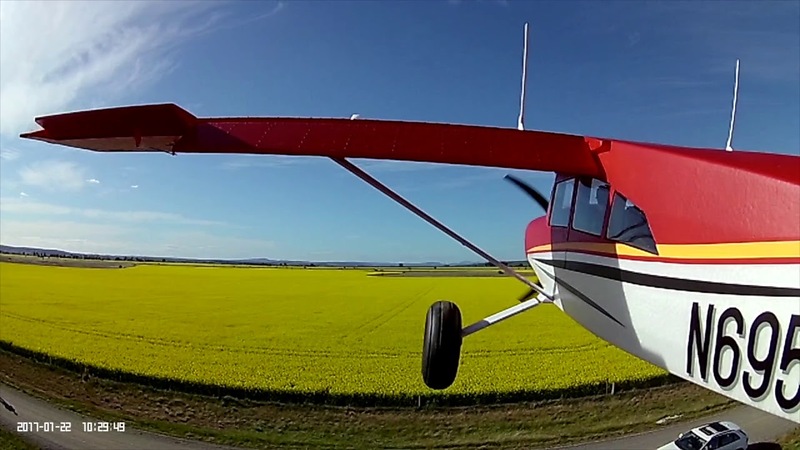 We typically fly off 3"+ wild field grass. I've even taken off a couple of UMX planes from that surface. I typically throw those things but they can get off the ground in about a foot. G'day....I have both, the Timber being my favourite aircraft but love the Maule as it is so well built. With the Timber flight, it seems to have a better STOL landing and just seems to hang in the air so beautifully...as seen on the beach at the Great Ocean Road area at Fairhaven in Victoria Au. From a scale and detail perspective, the Maule beats the Timber. Of course, the Maule is designed after an actual plane and the scale details looks right. The Timber was designed from scratch for STOL. I already had the Timber when the Maule came out, so I just added some scale details to try and make it look better, but nothing can fix the decal windows of the Timber. From a flying standpoint, I haven't flown the Maule to compare. The Timber does work pretty good on the grass, even on thick grass. I have only had a single nose-over with mine and that was on some very thick and tall grass. Something in the 4" tall range. No issues on the club field which can range from 1" to 3" depending on how fast the grass is growing and when it gets cut. I find the Timber to be the most fun on floats, and I would say the Maule is the same way. For a general aviation plane that handles grass very well, check out the E-Flite Cherokee. I find it far more fun than the Timber and it will cut right through the grass. Even with the pants installed, there is no stopping the Cherokee. I don't have the E-Flite Cherokee but I do have the Cirrus. I chose it over the Cherokee primarily on looks. My Cirrus has no issues on 3/4" grass with the pants, but I'll have to see how it fares on 1 1/4" -1 1/2" which my Club is going to this season. I expect it would be similar to the Cherokee. I'm looking for something different than what I already have (E-Flite Apprentice, Cirrus and AT-6). As previously noted, I think the PT-17 will handle the new grass height OK. If I knew the Extra 300 3D with pants would also handle the new grass height I'd order it, not so much for 3D but for sport aerobatics. However I have my doubts. That's why I'm looking at the Maule or the Timber/Turbo Timber. I agree that from a looks perspective the Maule wins and if the flight characteristics are similar, I'd get the Maule. Absolutely agree with you in almost every point....except I have not tried floats yet. But so right re the detail on the Maule! This is a video on recent high cross wind landings with the Cherokee. She took some beating on the landings but so solid. Even the nose wheel did not fail. I put the floats on my Timber last September when the runway flooded and limited the ability to operate with landing gear. 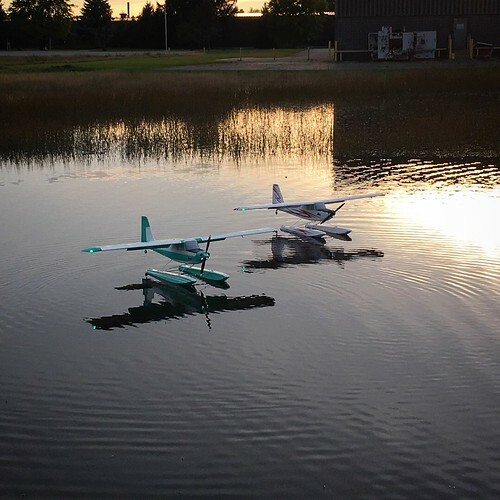 A club member and I both brought out our Timbers on floats and had a great time flying off the flooded runway. The Timber looks pretty good on floats too! I don't want to put the wheels back on, but probably will towards the middle of the year when the runway is back to being dry. It is almost spring here, so the runway will be flooded for awhile as the snow melts. A rainy fall will bring back the water for floats again.